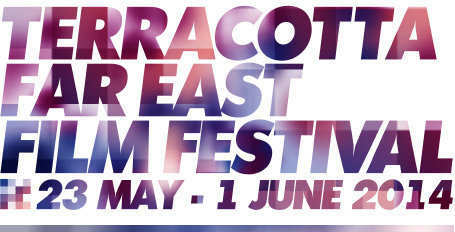 myReviewer.com - The Terracotta Far East Film Festival Is In Full Swing! Don’t be scared of cobras any more! That's what happens when you have a Bank Holiday! You turn away from your Internet connection to take a breather, and then when you come back, you find that you're in the middle of a Film Festival, the 6th Annual Terracotta Film Festival to be exact, as the best of Far Eastern Cinema is brought to London, from countries as diverse as China, Japan, South Korea, Thailand, Taiwan, the Phillipines and Mongolia. We're halfway through, but let's not dwell on what we've missed, but focus on what is still to come. The Main Festival starts today at the Prince Charles Cinema and runs till the 1st of June, with films like Unbeatable, Warrior King 2, Remote Control, Forever Love, The Face Reader, Moebius, Chinese Zodiac, Commitment, Special ID, Snow White Murder Case, Be My Baby, Firestorm, and Judge. There's also the Terror Cotta Horror All Nighter, with Lesson of Evil, In The Dark, Killers, and Tik Tik: The Aswang Chronicles. There are also still special guests and Q&A sessions to go with some of the films. Here's a PDF of the Festival Brochure, a link to the Website, and a link to the schedule with details of how to book tickets.